HJ: Taking focused action is a big part of making positive changes in your life, but so is looking within to discover where you might be holding yourself back in ways you may not yet be aware of. Our beliefs and emotional states create the results we get in life and also create the limits (if any) we unconsciously choose to place on ourselves. It is important when attempting to make positive changes in your life to not ignore the inner ecology (read beliefs, values and emotions) that you hold about yourself and the world because these ultimately dictate the actions you will take. Trying to take actions that are in opposition to your current inner ecology (which is often what must happen when making positive changes) can be difficult and cause you to encounter resistance. However, by effectively changing your inner ecology (the resources for doing so are contained on the pages of this site many times over) you can begin to make lasting, meaningful positive changes in your life with ease and grace. Have you ever considered making changes in certain areas of your life? Have you attempted to make changes in the past, experienced minor successes, but wound up where you started? Maybe you wanted to become a better father or mother, control your computer addictions, improve your temperament, or lose weight. Sometimes the solution comes down to finding meaning in your life. However, in most cases, you have to make lasting, meaningful changes in your lifestyle habits in order to accomplish your goals. Before we can identify and utilize the keys to making significant lifestyle changes, there are certain concepts that we may have to learn. Human beings have the tendency to find ways that they will fail when they are presented with new concepts to learn. We immediately create reasons to dispel these new concepts so that we can relegate them to failure. Interestingly enough, when we don’t subject our behavioral models to that type of scrutiny, the possibility of failure still exists. We oftentimes seek answers to certain pertinent questions that we ask ourselves before trying to make any changes. Unfortunately, we typically ask the wrong questions and make no significant progress as a result. The question should not be is this good or bad, is this right or wrong, or is this true or false. Instead, you should ask yourself “will this work better for me compared to what I am currently doing in my life?” If the answer in not YES, it may still be useful in the future. But for now, you shouldn’t waste any energy or time thinking about it. Each and every one of us has certain areas that we would like to improve and habits that we need to break. We want to make profound changes, yet no matter how hard we try, we get stuck and cannot see the type of change that we need or want to make. Needless to say, making behavioral changes can be extremely difficult and very frustrating when you rely on your will alone. 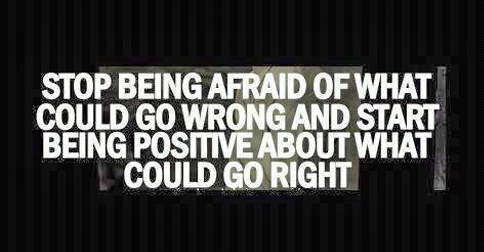 Despite the fact that you will fail occasionally, you may experience adverse or negative side effects when you succeed. The key is to change your mental model which in turn will change your outlook on life. Accept who you are – if you have to love yourself before you can love others, it follows that you need to accept yourself before you can accept others. Assess your current situation – ask yourself the following questions. How do you see yourself? How do you handle a certain set of circumstances? What bad or good consequences have you experienced because of this? Be compassionate, especially towards yourself – it goes without saying that you cannot make these changes overnight so you have to be kind to yourself and patient in the process. Be grateful for what you accomplish and love yourself so you know the change is worth it. Commit yourself to making changes in your life – once you have listed the changes you want to make, be committed to succeeding and get to work on them. Make a contract with yourself and don’t break it. Continue educating yourself – gather information from external and internal sources in order to make the changes you are committed to making. Identify the changes you need to make – once you have done this, it will be easier to correct the actions and behaviors that have had a negative impact on your life. Pause for reflection – make time to assess your progress and praise yourself for the changes you make along the way to achieving your final goals. Be open to revising your goals when it becomes necessary to do so. Set challenging yet realistic goals – for all intents and purposes, the change process must be measurable and tangible so that you can achieve smaller, daily goals. Take action towards achieving your goals – honor your commitment to your goals and be aware of the changes you make along the way. Make sure that the behaviors you engage in and the things you do coincide with your personal goals. Take responsibility for your actions and your mistakes – be accountable, be honest, and take responsibility for what you do or don’t do as well as how your actions affect others. The key to making the lasting, meaningful changes in your life that you desire is to follow the 10 steps above as thoroughly as possible. Remember, that the “3 D’s” for achieving success is what must be in place, namely dedication, desire, and determination. Me-centered universe – most individuals live in a me-centered universe and we tend to base our decisions on the question “What impact will this have on me?” Think of how much time you spend in that universe and whether or not you are really benefiting from that mentality. Just keep in mind that you will find more than your fair share of disappointments, frustrations, pain, and suffering. Mental chatter – the internal dialog that we hear inside our heads is that endless stream of mental chatter that begins the moment we wake up every morning and continues throughout the day until we turn in for the night. Sometimes it prevents us from sleeping and we try to ignore it. However, it is this mental chatter that helps us create our lives. Mental models – we see the way in which the world works because of these mental models. Not only are these models useful in our pursuit of making long-lasting, meaningful changes, they save us a great deal of mental energy and help to simplify our lives in the process.